Thanks for visiting iModular.com! Since 1998 we've been helping people just like you make smart decisions before buying, renting or selling a modular building, portable classroom, mobile office trailer and all types of prefabricated commercial and residential structures. So, whether you are searching for a modular building or would like to re-market and sell one that you currently own - we are here to help. For the fastest response please complete the simple "contact us" form below. We receive and respond to messages 7 days a week, 365 days a year. 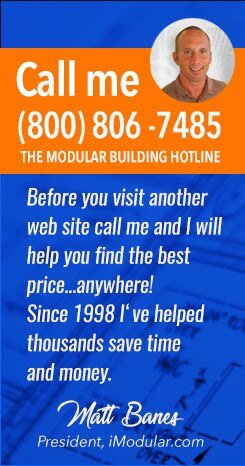 If you prefer speaking directly one of our staff members, please call us on the Modular Building Help Line Toll Free (800) 806-7485.